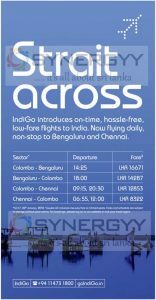 India’s low-cosi carrier, IndiGo, will launch direct flights to Colombo from Chennai and Bengaluru from January 20. in its endeavour to expand and strengthen its growing network. Colombo will become IndiGo’s 8th international and 49th overall destination effective January 20 2018 and the airlines hope to increase its frequency to daily very soon. The CCO of Indigo said they may consider flying to mattala airport when they decide to fly daily. A Hamas travel is a GSA Partner in Sri Lanka for sales and distribution services. 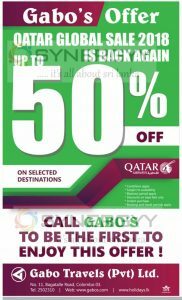 Gabo Travels brought you the Qatar Airways Qatar Global Sale 2018 again with 50% Discount on selected destinations. Sri Lankan Airline Holidays brought you a special holiday package to Dubai 2 Nights 3 Days Hotel Accommodation with Return Economy class air fare at an special price of Rs. 51,999/- person on twin sharing basis. The offer valid till 31st January 2018 and travel on or before 31st March 2018. Lowest all inclusive one way fare on limited seats. Fare and schedule are subject to change without prior notice. 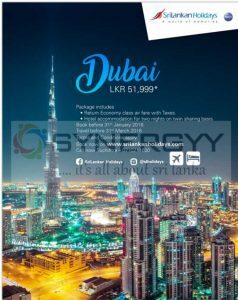 Sri Lankan Airline brought you a special promotion to fly business class to your holiday destination of Jakarta, Singapore, Kuala Lumpur, Bangkok, Delhi and Dubai as low as Rs. 71,999/- with 2 night hotel accommodation on twin sharing basis. Return Business class airfare with taxes. Hotel accommodation for two nights on twin sharing basis. Travel before 31st December 2017. 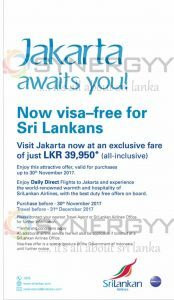 Sri Lankan Airline brought you a special promotion for this season and make the most of our free extra baggage allowance. 40kg free extra baggage allowance will be awarded for economy class tickets. The free extra baggage allowance for business class tickets is 45kg. Christmas lights, bustling markets, ice rinks and the works – London is pulsating with activity this time of the year. Couple all that with these unbelievable fares & 40kg baggage allowance – this is an offer that you simply cannot miss! Gather up your loved ones and head off to London this December and experience an English Christmas that you will never forget! Sri Lankan Airline fly to Jakarta Indonesia daily. Enjoy your new holiday destination with visa-free country for Sri Lankan. Visit Jakarta now at an exclusive fare of just LKR 39,950* (all-inclusive) Enjoy this attractive offer, valid for purchases up to 30th November 2017. Enjoy Daily Direct Flights to Jakarta and experience the world-renowned warmth and hospitality of SriLankan Airlines, with the best duty free offers on board. 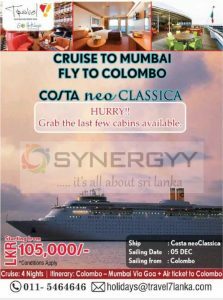 Please contact your nearest Travel Agent or SriLankan Airlines Office for further information. An additional airline service fee will also be applicable if ticketed at a SriLankan Airlines Office. Visa-free offer is a special gesture of the Government of Indonesia until further notice. Book your accommodation through hotels.srilankan.com and earn double miles for every 1 USD spends. Booking need to complete between 18 September to 18 November 2017. Enter your FlySmiLes membership number to accrue miles! 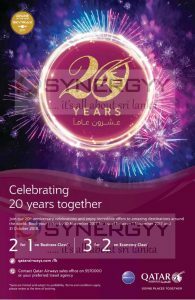 Qatar Airways announces a special promotion for their 20th year’s celebration together with their valuable clients. Join 20th anniversary celebrations and enjoy incredible offers to amazing destinations around the world. Book your ticket by 10 November 2017 for travel between 1 November 2017 and 31 October 2018. Air India, Indian National Airlines now flying to Stockholm & Copenhagen from Delhi. Now you can fly from Colombo to Stockholm & Copenhagen via Delhi. 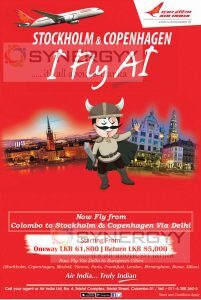 Fare starting From Oneway LKR 61,800 / Return LKR 85,000, and Air India fly many European city via Delhi such as Stockholm, Copenhagen, Madrid, Vienna, Paris, Frankfurt, London, Birmingham, Rome, Milan. Visit Jakarta now at an exclusive fare of just LKR 39,950* (all-inclusive). Enjoy this attractive offer, valid for purchases up to 30th November 2017. An ideal opportunity for those who are interested in gaining exposure working for an international airline in a highly competitive and dynamic business environment. 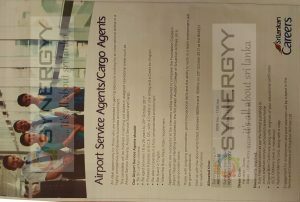 The candidate will be involved in carrying out duties in assigned operational areas such as Airport Service Delivery, Airport Service Support and Cargo. Be aged between 18 to 26 years by 20th October 2017. Possess 6 passes at G.C.E. O/L, with 4 Credits in one sitting and a Credit for English. Be able to operate in a fully computerized environment. Meet the Body Mass Index requirement. Applicants who are successful at the interview will be required to complete the Foundation Course in Airport Passenger Handling conducted by the Sri Lankan Aviation College of SriLankan Airlines, on a pay-as-you-earn basis. Those with outgoing personalities, good interpersonal skills and the ability to work in a team environment will be given preference. Time Allocated for Surnames starting with ABCDEFGHIJKLM on 0830 hrs – 1130 hrs and those whose Surnames starting with NOPQRSTUVWXYZ on 1330 hrs 1530 hrs. Original Birth Certificate along with originals of your educational certificates (GCE Ordinary Level is mandatory). National Identity Card, along with a copy. Engagement for employment and post selection will be subject to the Terms and Conditions of SriLankan Airlines Ltd.
Sri Lankan Airline brought you another Global Promotion with discount up to 35% off to & from over 40 destinations Including Melbourne. Travel & save with SriLankan Airlines this September as we give you unbelievable discounts! Tick off yet another destination off your bucket list. We are offering you all your dream destinations, including our latest destination, Melbourne! Simply book your flight online & get ready for your discounted adventure! Hurry! Seats are selling fast! 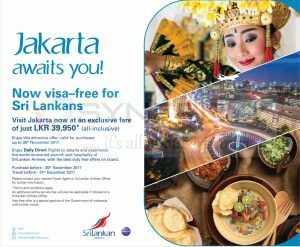 Offer is valid for tickets purchased online at www.srilankan.com on SriLankan Airlines operated flights. For return tickets purchased to or from Melbourne, please note that the offer is only valid for UL 604 & UL 605 operated by SriLankan Airlines starting from 29 October 2017. 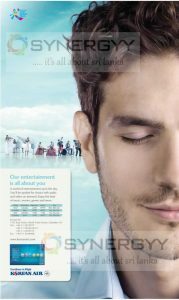 Offer valid for tickets purchased between 28 September – 30 September 2017 for travel commence and completion between 20 October 2017 – 31 March 2018. Daya Aviation own by leading Daya Group introduces new Helicopter into their fleet with Airbus EC130T2. This Helicopter is comfortable enough for 7 passengers with 60Kg luggage space and fully air conditioning now available for your transport needs. It’s the most elegant, high-tech and comfortable helicopter currently operating in Sri Lanka. Departures are available from Ratmalana Airport, Bandaranaike International Airport, Mount Lavinia Hotel, Colombo Royal Gold Club, Water’s Edge- Battaramulla, Colombo Calts Grround, Borella Campbell Park and Narahenpita Shalika Ground. 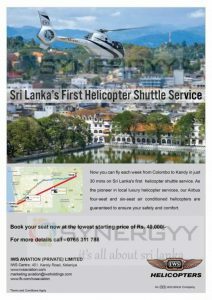 Now you can fly each week from Colombo to Kandy in just 30 mins on Sri Lanka’s first helicopter shuttle service. As the pioneer in local luxury helicopter services, our Airbus four-seat and six-seat air conditioned helicopters are guaranteed to ensure your safety and comfort. Qatar Airway added additional flights from Colombo to more than 150 places in worldwide via Doha, starting from 2nd August 2017.
with four daily flights, you have more convenient connections to the USA, Europe, Africa and the Middle East. Have a Flight on us – Into or out of Melbourne! Book with us & stand a chance to fly free! Book your ticket to Melbourne or out of Melbourne to any one of our SriLankan Airlines destinations on www.srilankan.com and stand a chance to get your money back! 40 tickets to be won! As we introduce daily flights to and from Melbourne, we want to make it extra special for you. Make the most of your journey. Book your flight now! 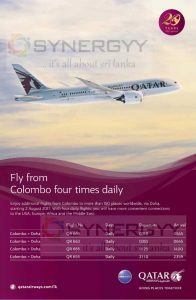 To Melbourne, Sydney, Adelaide, Brisbane & Canberra from Sri Lanka, India or any other SriLankan Airlines destinations. Tickets issued during 10 July – 28 October will be qualified for the raffle draw. The ticket fare of the winners will be completely reimbursed. Tickets issued during a particular month are qualified for the draw of the same month only. The draw would be held in the first week of the following month. Tickets issued only on www.srilankan.com are qualified for the draw. If you are selected as a winner, your payment will be reimbursed to the same card that was used to make the payment to your original ticket. Your original ticket will then be cancelled and a new ticket will be issued in your name. For Pay Later customers, the standard refund procedure for the facility will be followed. The selection of the winners is entirely at the discretion of SriLankan Airlines. The decisions made will be final. SriLankan Airlines Ltd reserves the right to withdraw all or any of the rules applicable to the above offer at any time at its sole discretion without prior notice. SriLankan Airlines reserves the right to use the names/photographs of the winners for their promotional material. Sri Lankan Airlines announces a special fares to Singapore as all inclsuive fares starting from LKR 31,464*. Be enthralled by the breathtaking skyline or shop till you drop and then shop some more! Head over to the city where anything is possible and enjoy discounts while you are at it! Fly off in comfort while making great savings! Enjoy SriLankan hospitality at its best 35,000 feet above the ground. Colombo – Singapore only valid on UL302. Singapore – Colombo available on UL303 only. 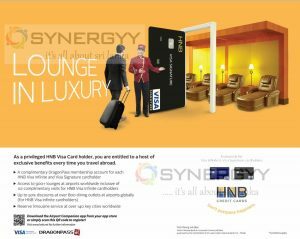 Findmyfare.com announces special discounts upto 25% off for HSBC Credit cards for the travel make between 10th July to 31st Deember 2017. 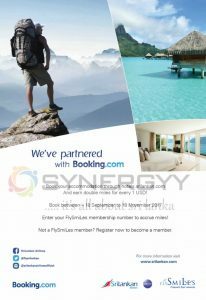 Book your ticket today using Special Promotion code (Promocode) of FLYHSBC on findmyfare.com and grasp your offer. Offer valid till 20th July 2017. 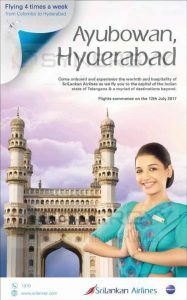 Come onboard and experience the warmth and hospitality of SriLankan Airlines as we fly you to the capital of the Indian state of Telangana & a myriad of destinations beyond. Cinnamon Air announces a special promotion for this New Year season, fly to Nuwara Elia or Colombo for USD 153 per person one way only from 7th to 16th of April 2017. Tickets shall only be valid for the date, destination and passenger specified there on & all tickets are non-refundable. Country taxes must be collected separately at the time of ticketing. Additional Terms and Conditions may apply and are subject to change without prior notice. Above fares are non-commissionable & subject to change without prior notice. 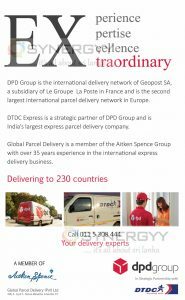 DPD Group is the international delivery network of Geopost SA, a subsidiary of Le Groupe La Poste in France and is the second largest international parcel delivery network in Europe. DTDC Express is a strategic partner of DPD Group and is India’s largest express parcel delivery company. Global Parcel Delivery is a member of the Aitken Spence Group with over 35 years experience in the international express delivery business. Korean Air offer a direct airline services to Colombo to Seoul and Male – Colombo –Seoul route 3 times a week. And enjoy a world entertainment up in the sky. You will be spoiled for choice with audio and video on demand. Enjoy the best of music, movies, games and more on board. 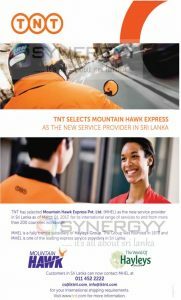 TNT has selected Mountain Hawk Express Pvt. 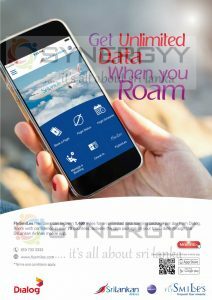 Ltd. (MHEL) as the new service provider in Sri Lanka as of March 01, 2017, for its international range of services to and from more than 200 countries worldwide. MHEL is a fully owned subsidiary of Hayleys Group. The Group was founded in 1878 and MHEL is one of the leading express service providers in Sri Lanka.